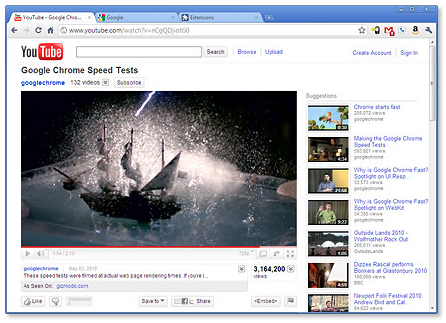 Google’s Chrome browser successfully completed its third year. In ceremony of chrome’s third birthday Google has came-up with revolutionary new model of computing: the Chromebook. The Chromebook is pure Chrome—a computer built for everything you ever need to do on the web while doing away with all the usual annoyances of an old, slow PC. Chromebook is now available on Amazon and BestBuy, price starting at $349.00.